WHIZ KIDS: Members of the Manchester High team explain their concept to a Scotiabank representative; below, more highlights from the all-day hackathon. 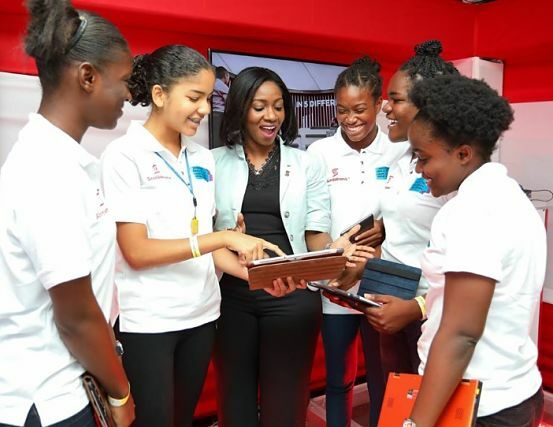 ACCORDING to a video presentation at Monday’s International Girls in ICT Day Caribbean Hackathon, at the Spanish Court Hotel in New Kingston, Black women make up only 3% of the global computing workforce. It’s against this backdrop that the idea for the hackathon was born – to empower and encourage more girls and young women to pursue careers in the ICT field. Pulling together smart, enthusiastic students from such institutions as Wolmer’s Girls, St. Andrew High for Girls, the American International School, CARIMAC, Excelsior Community College and Manchester High, among others, the event’s main thrust involved challenging the participants to compete against each other by using a tool of their choice – web development, digital art, digital video, mobile app development or animation – to increase awareness and provide solutions for such topical social issues as crime and violence (domestic, sexual, child abuse), cyber-bullying, environmental protection and climate change, agricultural sustainability and drug abuse. 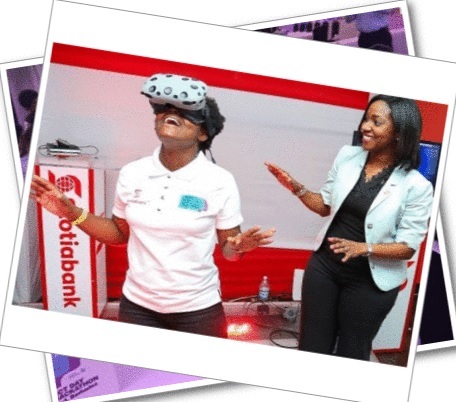 The all-day event, endorsed by NCB and Scotiabank, among other entities, involved such stages as ideation and concept development, solution development, pitch preparation and making the pitch to a panel of judges comprised of accomplished ICT professionals. 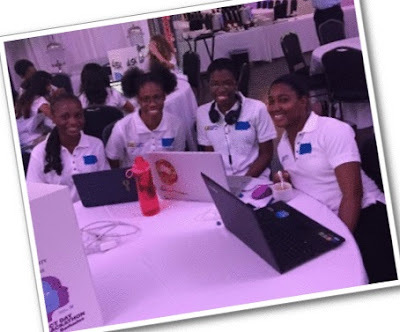 The room buzzed with garrulous energy and brain power, as the girls and their mentors huddled at their respective tables, surrounded by screens showing video footage of the other Caribbean hackathons in progress (in Trinidad and Barbados). Rupert Hutchinson, an IT specialist, was the day’s Challenge Master, tasked with overseeing the day’s proceedings and offering guidance and tips to the young ladies. 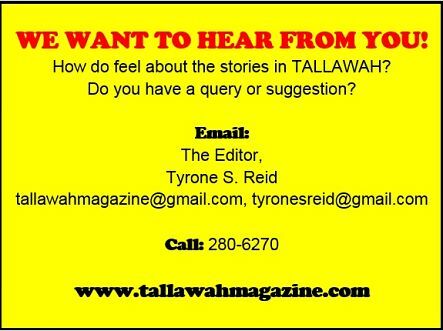 “Hackathons on a whole are important because they are supposed to bring out creativity and innovation and provide solutions that other people were not able to think up,” he told TALLAWAH as he made his rounds.